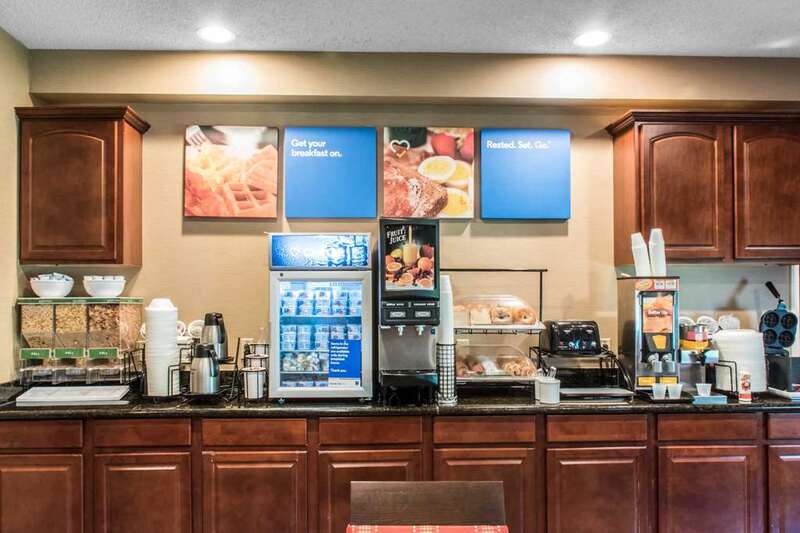 Get more value at Quality Inn and Suites Conference Center hotel in Erie, PA, which lets you relax and focus on the people and experiences that you came for. We are near Gannon University, Penn State Erie-Behrend College, Mercyhurst U., and Presque Isle Downs and Casino, for which we have a free daily shuttle. Additional amenities include free WiFi, free ample parking, free hot breakfast, meeting and banquet rooms, outdoor pool, business center, restaurant and bar. Guest rooms feature a coffee maker, hair dryer and TV. Pets are allowed. Pet accommodation is 25.00 USD per stay. Also, earn rewards including free nights and gift cards with our Choice Privileges Rewards program. Refundable USD100 deposit required of cash-paying guests. Please be advised: debit cards may take up to 15 days to release pre-authorization charge.